BNP secretary general Mirza Fakhrul Islam Alamgir on Sunday warned that their party will not accept any gas price hike as it will only inflict sufferings on people. “Our position is clear about the government’s move to hike the gas prices. Neither we nor the country’s people will accept it,” he said. 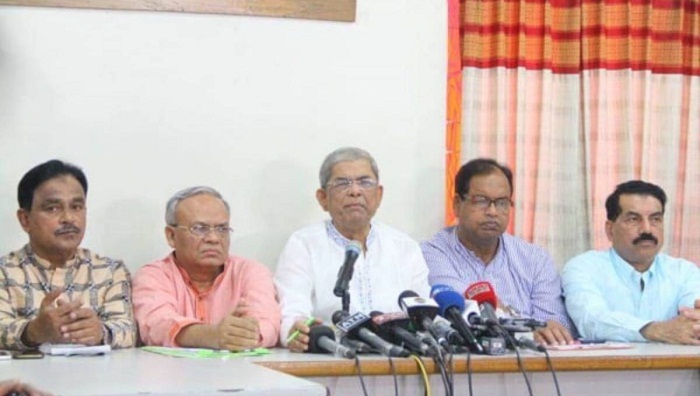 Fakhrul issued the warning at a press conference at the party’s Nayapaltan central office after a joint meeting of BNP and its associate bodies. He also said their party will take all-out protest programmes if the government increases the gas tariffs. About the Bangladesh part of US State Department’s annual country report on human rights practices, the BNP leader said it has depicted the real scenario of the country’s human rights condition and December-30 polls. The US 2018 Country Reports on Human Rights Practices released on March 13 said unlawful or political killings, forced disappearances, life-threatening prison conditions, limitation of freedom of speech, negative government pressure on and fear of reprisal by press and media, and impunity for security force abuses were the most significant human rights problems in Bangladesh last year. On elections and political participation, the report termed the December-30 parliamentary elections a “lopsided” one and said it was considered to be marred by irregularities, including ballot-box stuffing and intimidation of opposition polling agents and voters. Even, the BNP leader said Indian media depicted what happened in the election. “We’re very respectful to the media, and we thank them for the role they’re playing in such an adverse situation,” Fakhrul said. He alleged that the government has indulged in enforced disappearance, extrajudicial killing and arrest of its opponents to establish one-party rule. “One-party rule has been established in the country. Now people have no security and they don’t get justice. We’ve been witnessing for nearly 10-12 years that whom the government doesn’t like are being killed and made disappeared,” the BNP leader observed.